Distillation has been used for centuries to separate the components of liquid solutions through highly-selective heating and cooling. Multiple instruments are used to manipulate the differing thermodynamic properties of the fluidic compartments within a solution, encouraging mixtures to separate through boiling, evaporation, and condensation. This methodology has a broad range of applications but is conventionally associated with increasing the alcohol content of fermented beverages and purifying water sources for safe human consumption. 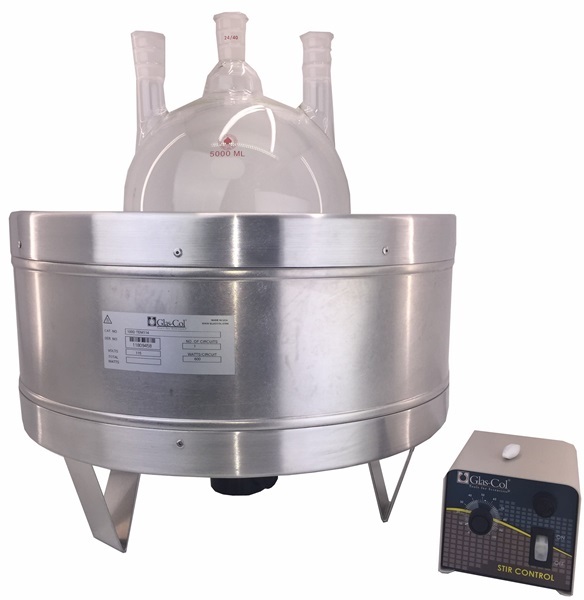 Short-path distillation is a compact purification method that is ideal for laboratory applications where minimal instrumentation footprint is essential. This low-pressure technique uses multiple flasks and comparatively short extraction feeds to separate condensate media across paths of just a few centimeters. Conventional distillation methods often require much larger apparatus to achieve the requisite purity levels for application specific requirements. Short-path distillation meanwhile can achieve distillate purity levels of up to 99% using multiple components in a smaller working space. How Does Short-Path Distillation Work? In a short-path distillation setup, a liquid solution or emulsion is suspended in an evaporating flask that is connected via a short feed to a condenser or chilling unit. The evaporating flask is placed in a heating mantle which gradually increases the temperature of the solution to pre-determined boiling points, encouraging distinct compartments of the solution to evaporate. Vacuum conditions are used to draw vapors through the feed into the condensing unit, where the separated gas phase compartments of the liquid solution are cooled and converted back into liquids. This distillate material is separated into distinct flasks based on their weight, enabling chemists to easily consolidate multiple desirable elements from a single sample. In the case of cannabis oil distillation, short-path distillation represents a cost-effective solution for separating cannabinoids, terpenoids and flavoring chemicals, and both organic and inorganic contaminants. This method does not require additional solvents to catalyze the distillation process and can provide high evaporation rates for increased levels of distillate consolidation with good degrees of automation. At Glas-Col, we provide a broad range of laboratory instrumentation for numerous application requirements. Our aluminum-housed EMS StirMantle is engineered for contact heating of glassware through variable heating of aqueous solutions via electromagnetic or motor-driven methods. This component can withstand internal operating temperatures of up to 400°C (752°F) and is suitable for short-path distillation of cannabidiol (CBD) and tetrahydrocannabinol (THC). If you would like any more information about performing short-path distillation with Glas-Col, please do not hesitate to contact us.